Agent Peggy Carter is surrounded by danger in the next episode of Marvel’s Agent Carter. 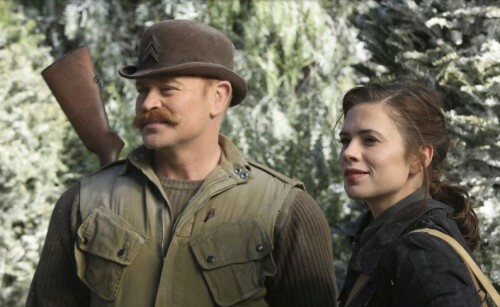 She goes on her first top secret mission for SSR and reunites with her old team “The Howling Commandos” including Dum Dum Dugan (Neal McDonough). Along they way they learn some shocking truths about Leviathan and a potentially deadly encounter with the Black Widow training grounds. Additionally, back in New York, it appears a Black Widow assassin has chosen Carter as her next victim. The grand opening clock won’t strike midnight until March 13th, but guests of Disney’s Hollywood Studios will soon be able to enjoy a sneak preview of Disney’s “Cinderella” as part of their visit to the park. Starting January 17 and running through March 21st guests can visit the ABC Sound Studio for the special extended preview. As an extra bonus, the original golden coach from the film will be on display on the Streets of America for photo opportunities. The coach will appear on Feb 1 and run through April 11th. 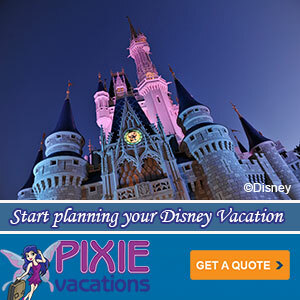 Also, Annual Passholders get priority access a day early on Jan 16 from 10am to 6pm. 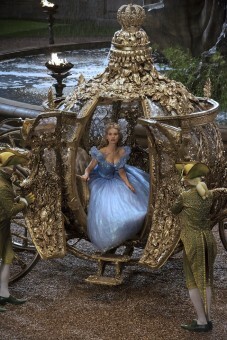 Show your valid pass and photo ID at the “Cinderella” Sneak Preview at the ABC Sound Studio at Disney’s Hollywood Studios for priority access before the attraction opens on Jan 17 and get a complimentary magnet (while supplies last). 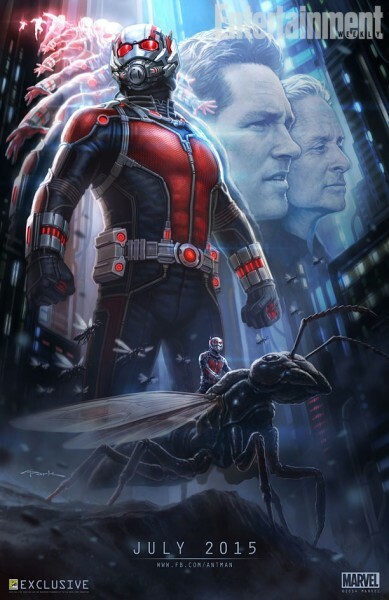 Finally, Marvel has released the first teaser trailer for Ant-Man. Unfortunately, you have to an ant to appreciate it. Oh Marvel. You’re so funny. Catch the full thing during the two-hour series premiere of “Marvel’s Agent Carter” Tuesday, January 6 beginning at 8:00 p.m. ET on ABC! Marvel Shares Special Preview of Avengers: Age of Ultron During Agents of S.H.I.E.L.D. Marvel comic book geeks all across America are united in crying out just one word today – More! Please give us more of the fantastic film that is “Guardians of the Galaxy.” A 17-minute preview was shown on IMAX (and the smaller IMAX-lite) screens across the country today. I’ve watched the previews and read the movie screening materials, but other than that I am not that familiar with the Guardians of the Galaxy story or characters, so I went into today’s 17-minute IMAX special preview with a near blank slate. The special extended scene we saw focused on a jail break scene. It’s not right from the beginning of the film, but apparently it’s not too far into it either. 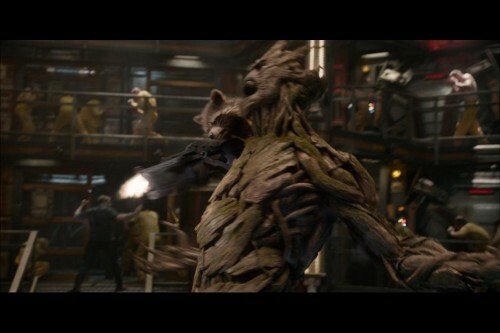 But it’s the perfect scene as it introduces the audience to all of guardians, their capabilities and personalities, as well shows how they work together as a team. Which is, in short, amazing. The 3D IMAX version we saw was very immersive. The director took advantage of how deep the space was to really move objects through it, so when you’re watching in 3D, you get that added perspective of depth, and it makes the film that much more realistic (even as you watch the somewhat cartoony violence). I was worried that audiences who aren’t familiar with Peter Quill, Gamora, Rocket, Groot or Drax won’t warm to the film, but trust me, if you don’t like the characters by this point in the film, the prison escape sequence will seal the deal. The rapport and interplay is witty, well written, superbly acted (especially considering the digital animation that went into two of the characters) and just enough outside the stereotype you expect for the characters to be interesting. 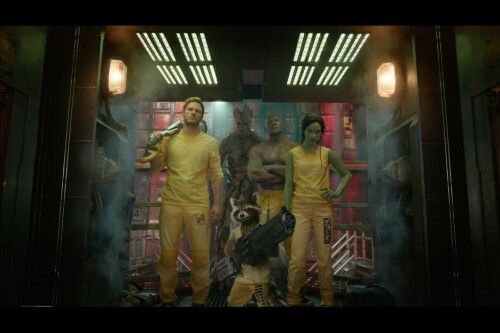 I definitely recommend catching “Guardians of the Galaxy” this August 1st when it opens at a theatre near you. Watch it in 3D on the largest clearest screen you can find withing reasonable driving distance. If you missed the 7/7 at 7pm IMAX screening you can still catch a separate sequence at Disneyland or Disney’s Hollywood Studios.